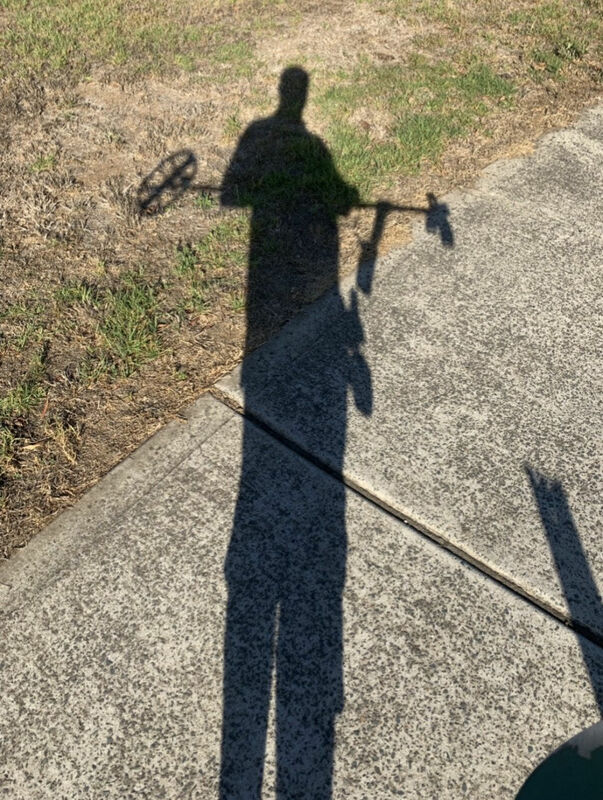 Detecting SA, by the looks of his shadow, he is a very tall bloke and looks like he has an Eqinox also same as you, have you tried turning your back and ignoring him, but the big question is, is he getting more finds than you??? Mate I have the same sort of bloke following me too. Except mines a little fatter and I think his detector isn't water proof because I never see him when its raining. That fire place is really close to your roof. Must have been a few consumed. I managed to take that photo standing on my head. Trying to find where the gold is coming from in a big dry creek close to town , done heaps of samples from the run offs . Just have to keep at it ' to find the source . Sitting here dreaming about retirement as I prepare myself for another 12hour day at work. Im cjanging some bits n pieces on 4x4... electrical tomorrow. Good to see you back ol mate. I am sitting in Sama lounge in KL waiting for a connecting flight to Nha Trang to see my old mate Dave Dingo, have a few beers, and detect the beach with his QED, to see if we can pick up any jewellery dropped by Russian tourists. I'm changing some bits n pieces on 4x4... electrical tomorrow. Thinking about a career in the bxxxxl... cant get that money lying around though. Cutting up the remainder of the last long bits of timber on a portable saw bench getting ready for the coming cold. Got the wife coming out to help, she is closer to the ground, not as far to lean picking the bits up for the cutting. Smoky I have been retired now for 20 years, live on 5 acres, it is a good time, but as you get older some jobs become more difficult to complete, it sort of becomes I can do that tomorrow, but when tomorrow comes there is always a next day, prefer to be out detecting, but there are 'must do' jobs. Just put the second skimcoat on a panel in my hallway. Took off the old wallpaper, and found that there used to be a door in that section. It had been bricked in and rendered, but the render was a rough job. I'll probably need one more skim coat, but I'll see how it looks when this one dries and I sand it.